Weldex Sales Corporation is here to provide you in Sales and Services of batteries and chargers for electric lift trucks. We have several different product lines to fit any workload, from a single shift to a multi-shift operation. We carry a full line of accessories for the battery and charger industry, including single point watering systems, battery handling equipment, all OSHA required equipment and speciality tools for the industry. First introduced in 1910, the Ironclad design is well established as the performance leader. Since then, Ironclad batteries have proven themselves as reliable, rugged performers in thousands of applications and work environments. Workhog batteries by EnerSys, are available in sizes to fit vehicles from small personnel carriers up to the largest 100,000-lb. lift truck. We've made a great battery even better. The latest generation of Workhog batteries, rated at 75, 90 and 125 amp hour, are the most powerful "standard" rated batteries on earth. Using unique Ironclad square tubular positive plate design, they produce more power than previous comparably rated models. 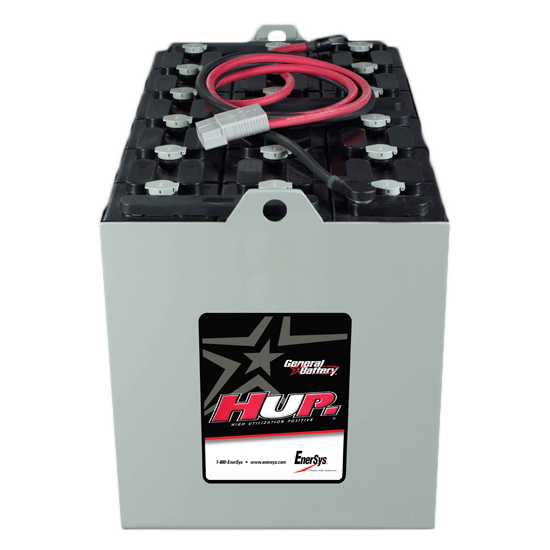 HUP (High Utilization Positive) batteries feature a revolutionary design that's backed by the longest, standard warranty in the business. The HUP battery ensures you receive more runs per shift, a higher capacity for sustained performance during each shift and less maintenance downtime. HUP battery plates significantly reduce flaking and shedding of positive plate materials. The design of the HUP battery's positive plate grid allows for the maximum amount of lead paste to be locked into place during a controlled curing process. So the lead paste remains cohesive, and in contact with the positive grid far longer than in standard batteries. For nearly a decade, our Thin Plate Pure Lead (TPPL) NexSys® batteries have been providing cost-effective power for small traction applications. Today, our expanded line of NexSys batteries puts that same trusted TPPL technology to work for a wide range of higher capacity lift truck vehicles. 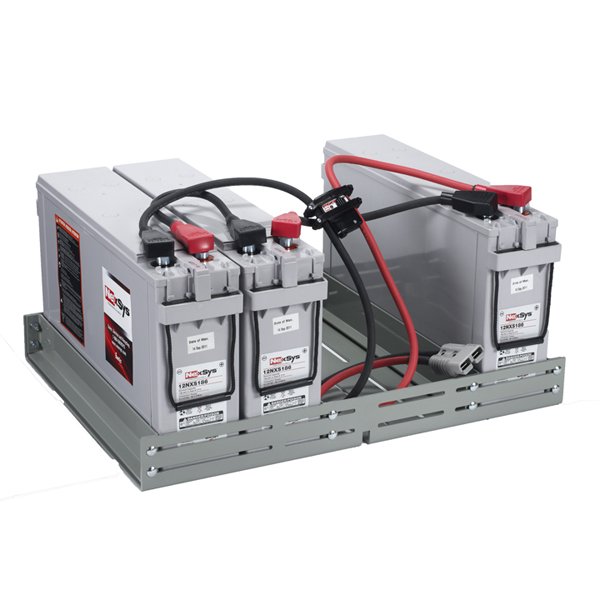 Unlike conventional acid batteries that take up to 12 hours to recharge, the expanded NexSys battery line includes configurations that can fast-charge in just under an hour. NexSys batteries give operators the ability to charge during breaks, at the end of a shift or anytime a vehicle is stopped. They can even be put back into service before they are fully charged. For operators, virtually maintenance-free NexSys batteries involve little work at all – no watering, changing or spills. These modular chargers offer intelligent charging with advanced efficiency and the flexibility to maintain peak efficiency at all times. Charging profiles and charging times are reduced one to two hours (depending on battery type) for increased efficiency and power factor control. 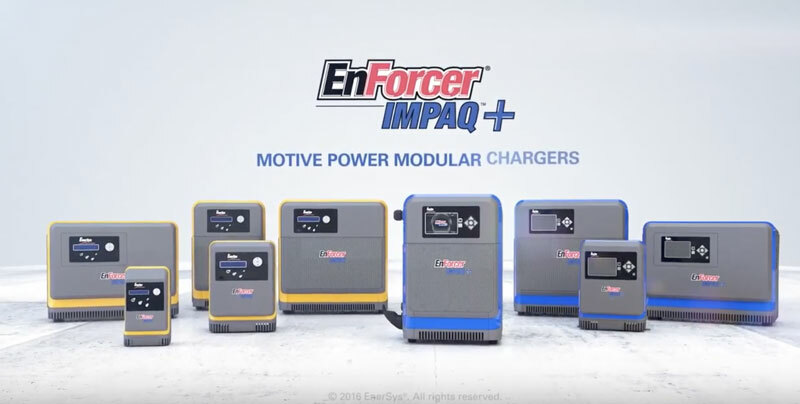 In addition, the modular design of EnForcer IMPAQ+ chargers adapts to a wide range of battery voltages and capacities. Need high AH capacity and fast charging times? This line is for you. 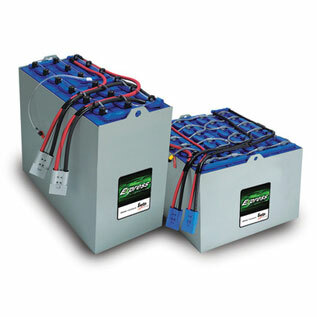 The highest capacity fast charge batteries, more than 15% higher than flat plate technology. Time - Space - Money - this line of chargers makes efficient use of all of these high value resources.